This protein-rich recipe makes a perfect breakfast to kick start your day. 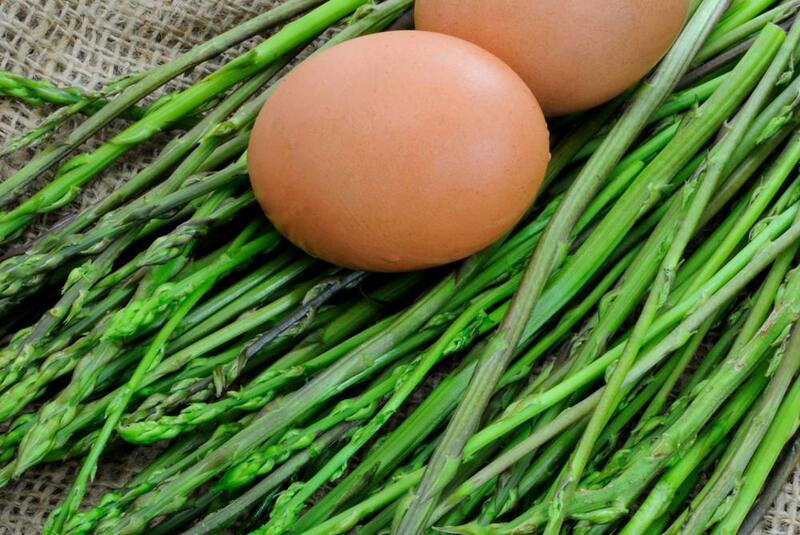 The smoked salmon offers a healthy dose of Omega-3s, and the asparagus is an excellent source of vitamin K, E, C, and B as well as a good source of fiber. The garlic supports a healthy immune system. In a medium bowl, whisk egg whites and eggs for about 30 seconds (or until fluffy). Add milk, salmon, lemon zest, salt, and pepper. Gently combine. Heat a 10-inch ovenproof non-stick skillet over medium heat on the stovetop. Add coconut oil and add asparagus and garlic. Cook, stirring frequently, until asparagus is soft (3 – 4 min). Pour egg mixture into the pan and stir to combine. Cook, without stirring, for about 4 minutes. Place the skillet in the oven and bake for 10-12 minutes, until the frittata is set.